High-quality musical instruments are quite expensive and may be extremely valuable to you personally, so you’ll want to take care of them to the best of your ability. To do this, you’ll need a safe storage unit with climate control , and you’ll need to prepare your instruments for storage. Keep reading to learn how. No matter how expensive your guitar, trombone, or drum set is, its value to you probably exceeds the price tag. That’s why you need to find a safe space to store your instruments. Look for a storage unit that can keep your musical instruments safe so they’re in the same condition when you come back to pick them up. The storage facility doesn’t necessarily need to have a security guard on premise, but customers and employees should be the only ones who can access the property. If you’ve ever left your guitar in the car overnight and found it out of tune when you play it the next day, the temperature could have played a role in its detuning. Cold temperatures can warp your instruments and change the way they play and sound, which is why climate-controlled storage is so important. Once your instruments are affected by the temperature, you’ll have to pay to get them set up again so they play and sound properly. Avoid this extra expense by storing yours in a climate-controlled storage facility. Keep your instruments safe when you put them into storage by packing them properly. 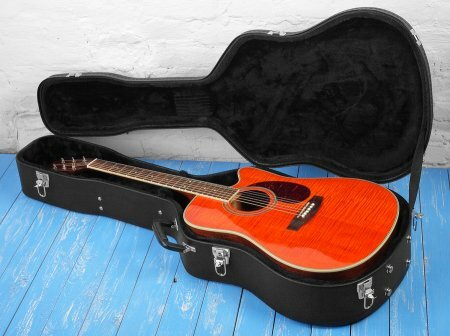 Never leave your instruments loose in the storage space, and use a hard case rather than a soft case for string instruments like guitars and basses. The way your musical instruments play has everything to do with how you store them, so work with POUCH Self Storage to keep them in top condition. Our storage units in Long Beach are protected and climate-controlled, and we can even help out with packing supplies. Call (800) 378-4598 if you’d like to reach us.